Smart Digital | Smart Inc.
Our Exhibitions & Displays range offers a complete solution for all types of indoor and outdoor events, promotions, trade shows and exhibitions. 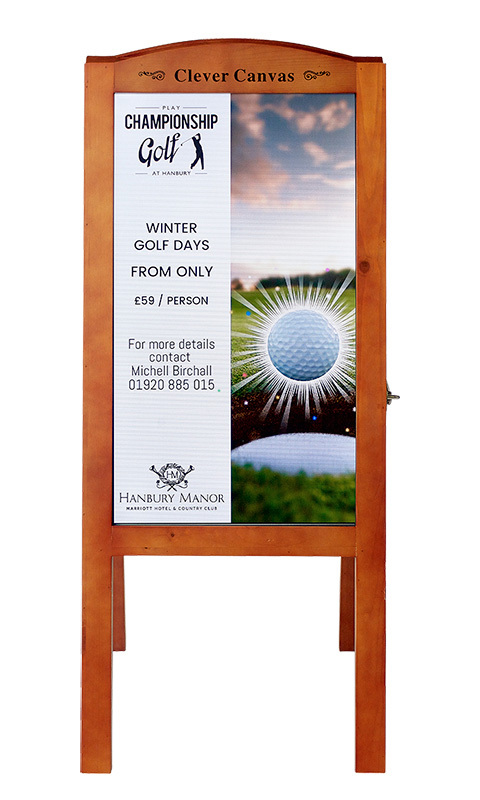 The range includes fabric displays, pop out banners, PVC banners and roller banners. A combination of dye-sublimation and latex printing techniques are used across the range to ensure the best possible finish for every product. 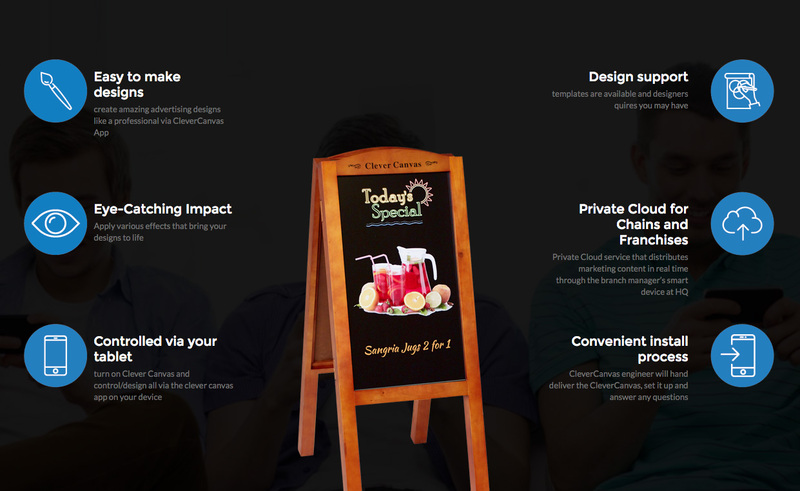 Clever Canvas is a smart easy solution for your business advertisement. Create eye-catching display signs that bring customers to your store with Clever Canvas. Choose a background, images and fonts for your displays, all from your phone. 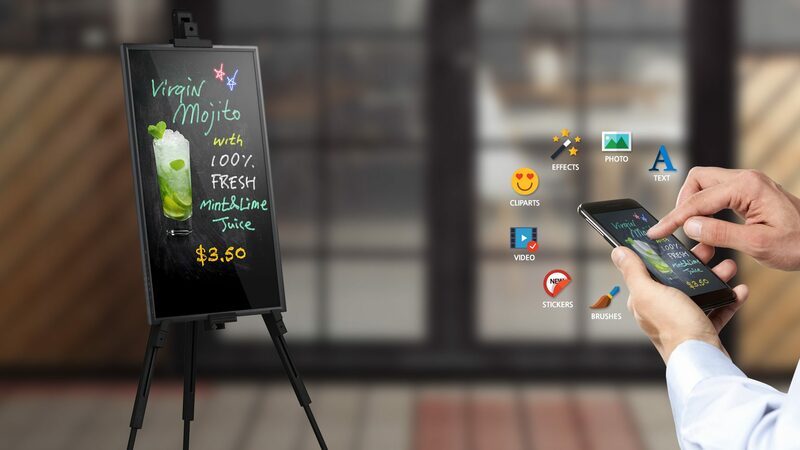 When you are finished creating the sign on your phone display the sign on the Clever Canvas display, or an existing smart canvas or television. The Clever Canvas is an innovative display sign system for retail stores, shops, and restaurants. Clever Canvas 27” wooden frame. Additional wooden frame makes your Clever Canvas looks like an original stylish blackboard. Clever Canvas is fun to use. Creating signs can be stressful for non-artists, but with the Clever Canvas app all the tools are there to give you confidence creating your own signs. From backgrounds, to images to photos to fonts and brushstrokes, it is easy to let your creative side out, or discover a creative side you didn’t know you had. 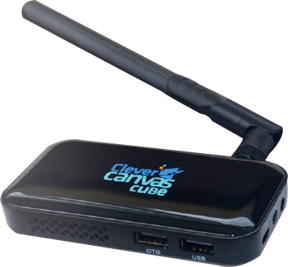 If you already have TV screens or another digital panels, you can easily connect CC Cube with them and send create sings using our app. How do you ensure that your business continuously stands out in this digital era? How do you draw attention to your product? Video Brochure integrates picture and sound! 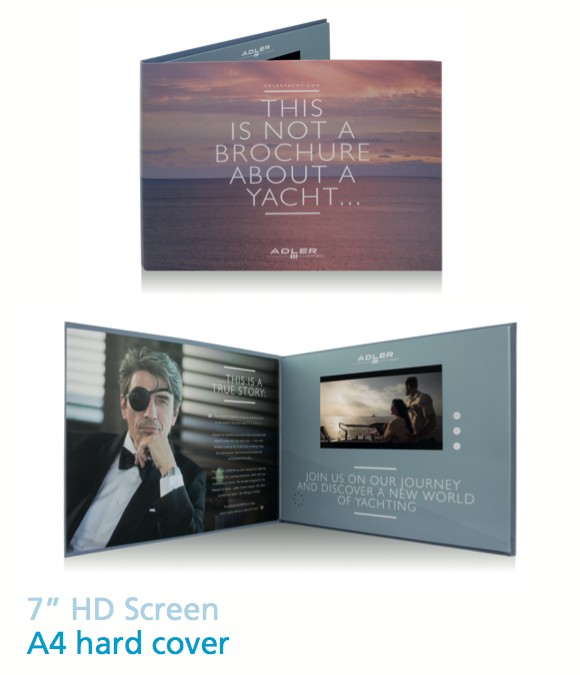 The video brochure is the new way to present your company or product in an original way. Upon opening the brochure, your video immediately starts playing. The built-in LCD screen captures the attention of the viewer. 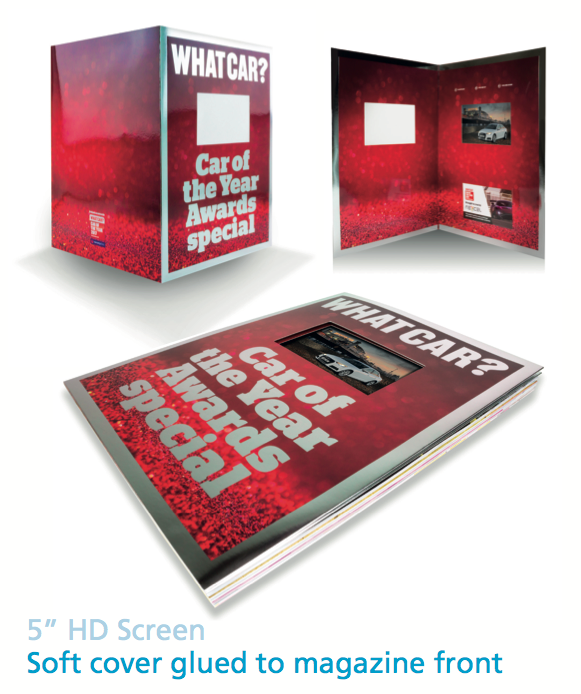 Video brochures are available in different screen sizes: 2.4, 2.8, 4.3, 5, 7 and 10 inches. The quality of the LCDs is high. This applies to any format. 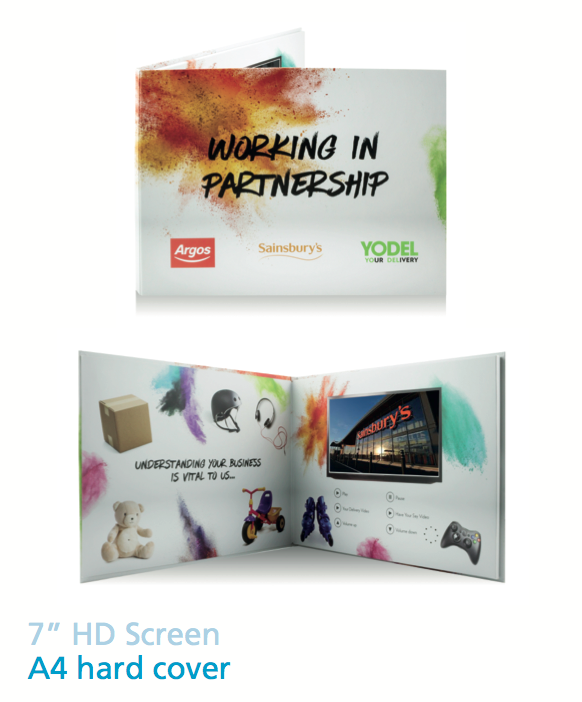 The price of the brochure depends on the size of the screen but also on the print run. LCD video brochures have standard 128MB memory and a rechargeable Li-on battery that lasts about 1.5 hours. 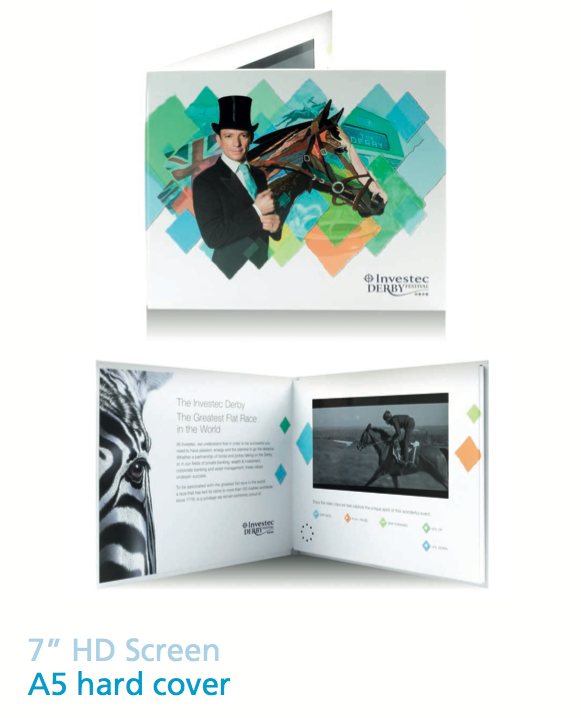 Depending on the size of the display, we can place 15 to 20 minutes of video on one brochure. The memory can be expanded as required. We will convert your video to the correct format for no additional costs.